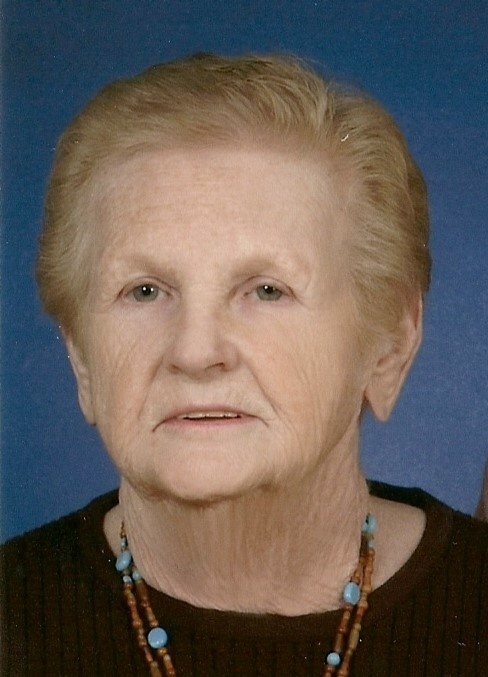 Barbara Minton Abell, age 83, of Hodgenville, passed away, Saturday, February 2, 2019, at the Dover Manor Nursing Home in Georgetown, KY.
She was a member of Middle Creek Baptist Church in Hodgenville, former member of Calvary Baptist Church in Lexington, former employee at Fayette County Schools and a long time employee and assistant manager at the Red Corner at Rupp Arena. She was preceded in death by her husband of over 60 years, Francis A. Abell; her parents, Vester Dan Minton and Bessie May Dennison Minton; a brother, William “Yocum” Minton; a daughter-in-law, Rita Arthur Berryman Abell and a granddaughter, Rella Perez. She is survived by three sons and a daughter-in-law, Richard Allen Abell of Lexington, Dennis Lee and Dianne Abell of Stuart, Florida and William Francis Abell of Frankfort and a brother, Jim Minton of Versailles. She has nine grandchildren, Melissa Abell, Lori Abell, Richard Abell II, Billy Berryman, Robbie Berryman, Jennifer Gray Conway, Sherman Mignault, Jessica Mignault and David Gordon; eleven great-grandchildren, Emma Abell, Trevor Berryman, Jayce Abell, Avery Wren Abell, Jenelle Filius, Samya Conway, Lorenzo Conway, Audrey Conway, Kaliyah Conway, Brad Conway, Nikki Stamper and additional extended family. Funeral Services will be held at 1:00 PM Friday, February 8, 2019 at Middle Creek Baptist Church with Rev. Jim Webster officiating. Burial will follow in the church cemetery. Visitation will be 6-8 PM Thursday at Bennett-Bertram Funeral Home in Hodgenville and after 12 noon Friday at the church until time for services. In lieu of flowers, the family has requested for donations to be made in her name to the American Red Cross 405 Dixie Ave. Elizabethtown, KY 42701.